If you enjoy hot pepper sauce and cooking, you might want to try making your own sauce. Chili pepper sauces range from thick to thin, with vegetables or not and can be made with any type of hot chili pepper. 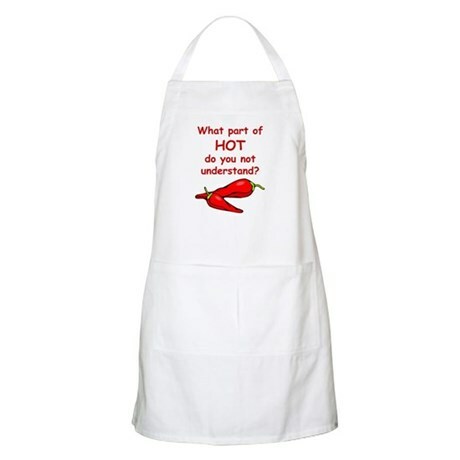 Several factors go into the decision to choose the chili pepper you want to use in your sauce. Hot sauce recipes all use some type of hot chili pepper but not all peppers are created equal and how you prepare the chili will also change how they taste. Roasting, sometimes referred to as “chipotle style”, imparts a smoky, grilled flavor to the hot chili. That smoky flavor can be just the thing for a barbecue-style hot sauce. Placing peppers in vinegar, flavored vinegar or alcohol will also change the peppers flavor. Peppers come in many degrees of hot from very mild cherry hot and banana peppers to the very hot habanero and Naga Jolokia peppers. Determine how hot you want your sauce before you choose a recipe. Louisiana hot sauces contain vinegar, and a few of these vinegar-based hot pepper sauce recipes include Habanero Pepper Sauce, Louisiana Hot Pepper Sauce and Southern Hot Pepper Sauce. Sauté the onion and garlic in oil until soft; add the carrots with a small amount of water. Bring to a boil, reduce heat and simmer until carrots are soft. Place the mixture and raw peppers into a blender and purée until smooth. Don't cook the peppers, since cooking reduces flavor of the habaneras. Combine the puree with vinegar and lime juice, then simmer for 5 minutes and seal in sterilized bottles. Pour some oil on top before sealing the bottles. You can keep this in the fridge a couple of days. Mexican style pepper sauce is thick much like cat-sup, but hotter and some recipes give the hot paste a smoky flavor. Substitution of one pepper for a different one will alter the original hot pepper recipe’s flavor but doing so allows you to choose the flavor and hotness you desire. Soak the ancho and New Mexican chili peppers in hot water to cover for about 1 hour. Remove the chilies from the water and reserve 2 cups of soaking water. Combine the chilies. Reserve the soaking water as needed, add chipotle, onion, garlic, cumin, oregano, and salt in a food processor and puree until all the ingredients are blended into a smooth thick paste. Use the soaking liquid as needed to moisten the mixture in a paste form. You can store in an airtight jar in the refrigerator for 3 to 4 weeks. Thai and Hawaiian hot sauces use fruits and other spices to create a flavorful hot sauce. You can find several easy recipes to help get you started creating your own exotic hot sauce. Once you start creating your own hot pepper sauce from a homemade recipe, it may be necessary to make some for family and friends. Remember to write down what additions or changes you make when creating your own hot chili sauce so that you can re-make later. Many times the addition or subtraction of an ingredient makes a basic sauce recipe into a family tradition.